The two bangles are made using sterling silver and feature two sterling silver engraved disks and four beads (either four sterling silver or two sterling silver and two sterling silver with CZ crystals). The silver disks contain the Mojo disks and allow them to be held correctly on the wrist. With a spring clip fastening, both bangles are easy to put on and take off. 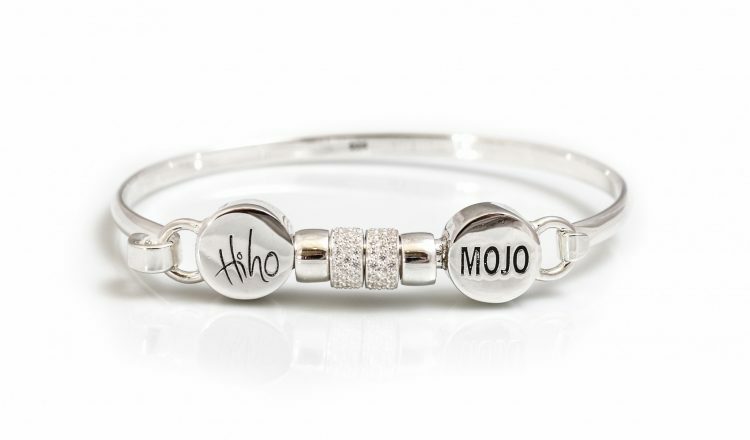 Both the Exclusive Sterling Silver Mojo Bangle and the Exclusive Sterling Silver & CZ Mojo Bangle are available from Hiho Silver and Mojo. They cost £200 each.